A popular lecturer as well, Loewy spoke at institutions such as the Massachusetts Institute of Technology, Columbia University, and the University of Leningrad. He founded three design companies: Raymond Loewy and Associates, New York; Raymond Loewy International, London; and Compagnie de I’Esthetique Industrielle, Paris. His writings include The Locomotive: Its Aesthetics (1937), the autobiography Never Leave Well Enough Alone (1951) and Industrial Design (1951). Raymond Loewy launched his career in industrial design in 1929 when Sigmund Gestetner, a British manufacturer of duplicating machines, commissioned him to improve the appearance of a mimeograph machine. In three days 28-year-old Loewy designed the shell that was to encase Gestetner duplicators for the next 40 years. In the process, he helped launch a profession that has changed the look of America. The Gestetner duplicator was the first of countless items transformed by streamlining, a technique that Loewy is credited with originating. Calling the concept “beauty through function and simplification,” Loewy spent over 50 years streamlining everything from postage stamps to spacecrafts. His more famous creations include the Lucky Strike cigarette package, the GG1 and S1 locomotives, the slenderized Coca-Cola bottle, the John F. Kennedy memorial postage stamp, the interior of Saturn I, Saturn V, and Skylab, the Greyhound bus and logo, the Shell International logo, the Exxon logo, the U.S. Postal Service emblem, a line of Frigidaire refrigerators, ranges, and freezers, and the Studebaker Avanti, Champion and Starliner. One of Loewy’s first major successes, a Coldspot refrigerator he designed for Sears Roebuck & Company in 1934, served as a testimonial to creative packaging. Loewy’s streamlined Coldspot, complete with the first ever rustproof aluminum shelves, sent Sears refrigerator sales from 60,000 units to 275,000 units in just two years. Another Loewy design, the GG-1 electric locomotive built by the Pennsylvania Railroad in 1936, demonstrated on an even larger scale the efficacy of industrial design. The welded shell of the GG-1 eliminated tens of thousands of rivets, resulting in improved appearance, simplified maintenance, and reduced manufacturing costs. As the first welded locomotive ever built, the GG-1 led to the universal adoption of the welding technique in their construction. Several years earlier, in 1930, Loewy had been brought on as a consultant to the Hupp Motor Company. He called the Hupp contract “the beginning of industrial design as a legitimate profession,” explaining that it was “the first time a large corporation accepted the idea of getting outside advice in the development of their products.” The Hupp contract also marked the beginning of Loewy’s long and often frustrating association with American automobile manufacturers. In addition to his achievements in the transportation field, Loewy was undoubtedly among the world’s most talented commercial artists. He began designing packaging and logos in 1940 when George Washington Hill, then president of the American Tobacco Company, wagered him $50,000 that he could not improve the appearance of the already familiar green and red Lucky Strike cigarette package. Accepting the challenge, Loewy began by changing the package background from green to white, thereby reducing printing costs by eliminating the need for green dye. Next he placed the red Lucky Strike target on both sides of the package, increasing product visibility and ultimately product sales. A satisfied Hill paid off the bet, and for over 40 years the Lucky Strike pack has remained unchanged. “I’m looking for a very high index of visual retention,” Loewy explained of his logos. “We want anyone who has seen the logotype even fleetingly to never forget it.” Among Loewy’s highly visible logotype designs are those for Shell Oil Company, Exxon, Greyhound and Nabisco. Loewy has also left his mark on the area of store design. One of his early innovations, the first fully climate-controlled, windowless department store, was so well received that the Loewy organization formed a separate division devoted entirely to store design. Under the leadership of Loewy’s partner, William Snaith, the company designed for prestigious clients such as Saks Fifth Avenue, J. L. Hudson, Macy’s, J.C. Penney, Bloomingdale’s and Lord & Taylor. By the 1970s Loewy’s New York office was engaged almost exclusively in store design. Loewy decided to sell the American company and to transfer the base of his design activities to Europe, because he said store design had “never been my particular field.” Retaining the name Raymond Loewy International, he started a new firm in Friebourg, Switzerland, and accelerated existing operations in London and Paris. 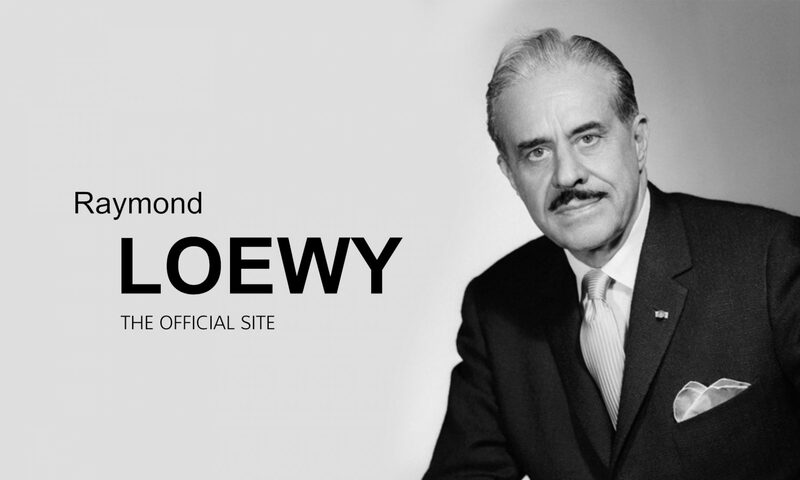 He discovered fertile ground for his interests, saying in an interview that, “industrial design in Europe is where it was in the United States 25 years ago.” Loewy’s efforts overseas found great success, and his Raymond Loewy International, now Loewy Group, is the largest firm of its kind in Europe. A New York Times Book Review critic once commented, “Mr. Loewy has indeed changed the shape of the modern world.” However, after the National Aeronautics and Space Administration (NASA) solicited his skills, he was able to extend his range of influence even farther. In Mueller’s estimation, Loewy’s efforts had “provided the foundation for man’s next great step – an expedition to the planets.” Loewy agreed, later citing the work he did for NASA as his most important and gratifying assignment. In 1975 the Smithsonian Institution opened The Designs of Raymond Loewy, a four-month exhibit dedicated to “the man who changed the face of industrial design.” Loewy later commented, “While working closely with the Smithsonian, I was provided with the opportunity to reassess the past.” And what a past it was. Loewy – businessman, educator, illustrator and author – had undoubtedly established himself as one of history’s most famous and influential designers. Loewy and Viola moved to France several years later, where they enjoyed leisurely travel and a more relaxed lifestyle. 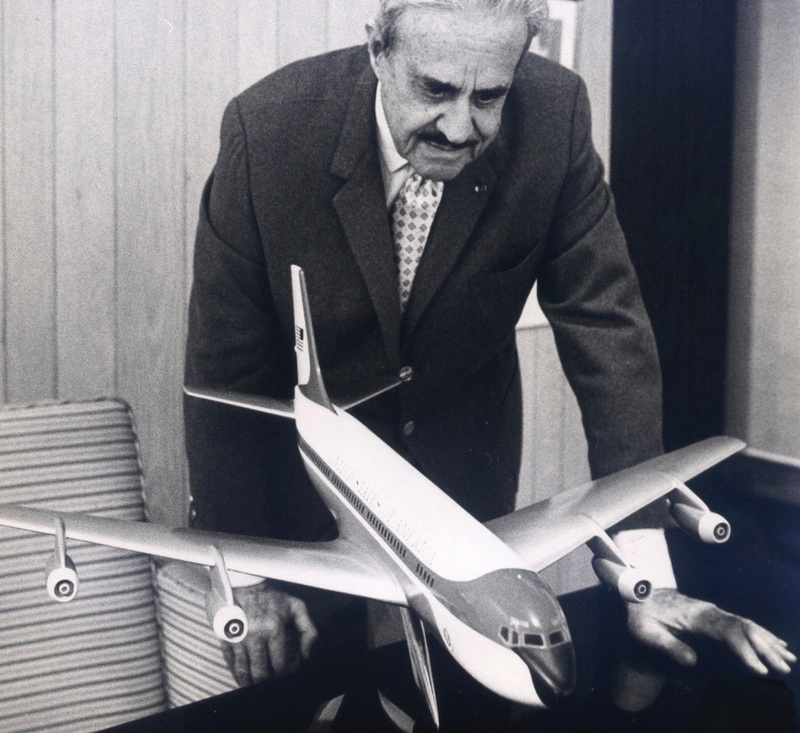 On July 14, 1986, after a period of poor health, Raymond Loewy died in Monte Carlo, Monaco. He was 92 years old. Proven time and again, Loewy’s design principals continue to be relevant years after their inception. Today, he has rightly found his place in history as the Father of Industrial Design.